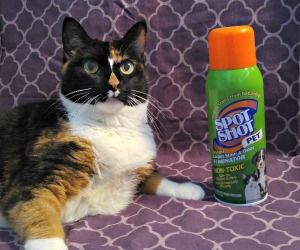 Our Pawsome Pet of the Week is a rare breed and beautiful model. Her name is Emma and she lives in the Twin Cities in Minnesota with her mom and fur family. 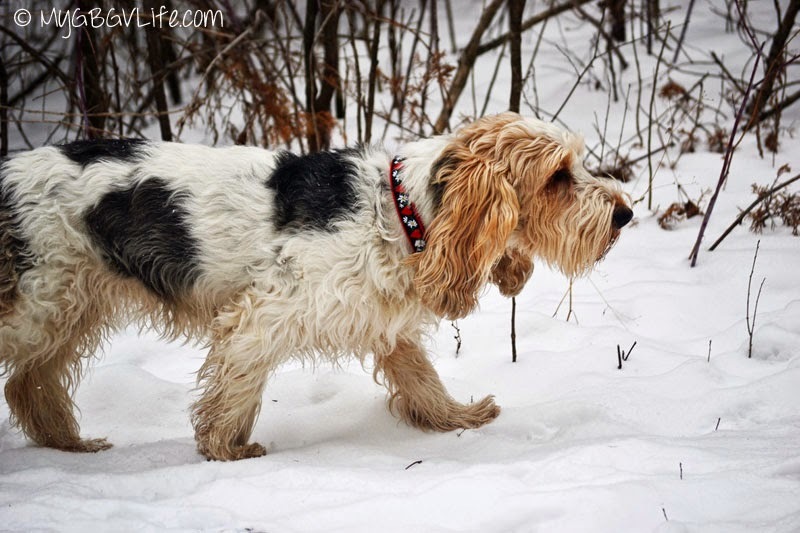 Emma is an 8 year old GBGV. 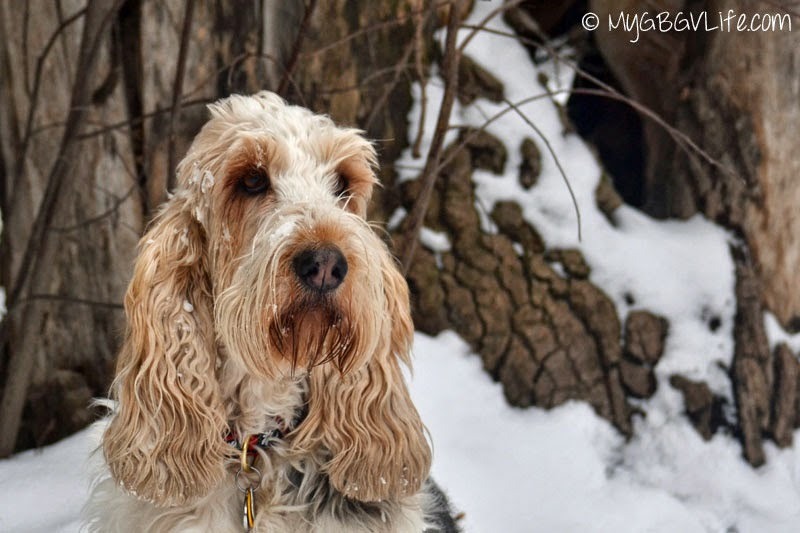 What's a GBGV, you ask? It stands for Grand Basset Griffon Vendeen. Emma is a popular lady who seems pretty busy, so I'm glad I had the chance to ask her a few questions. Here's a little bit of background on Miss Emma. "I was born in the UK, just outside London. Mom picked me up when I was 9 months old and we moved to the North Sea Coast in Germany just north of Hamburg. At 10 months, we all moved to the Twin Cities in Minnesota and I have been here ever since." Emma enjoys chasing wabbits and squirrels. She claims to be an "ace at catching wabbits in the yard". She's also pretty good at nose work and hopes to get some titles in that this year. Her favorite treats include wabbit jerky and bison jerky. "Mom thinks I’m adorable, funny, and always in a happy mood. No matter what, I always make her smile." I agree - Emma is great at making people smile. That definitely makes her a Pawsome Pet! And every lovely lady has something special about themselves. Emma's favorite thing about herself? Her ears. "My long floppy's. Everyone loves them as they are so long and cute. I used to trip over them when I was a puppy. They are a lot of work to keep neat and clean, though." 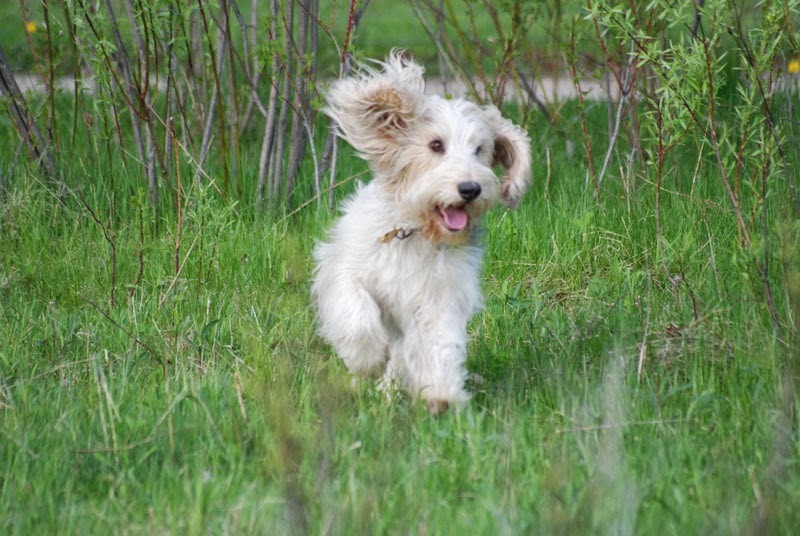 As I mentioned above, Emma is a rare breed of dog - the GBGV or Grand Basset Griffon Vendeen. Try saying that a few times fast... she's also a model and has even written a book about her life. Actually, I have a copy of Emma's book. I gave it to my daughter one year for Christmas and she loved it. "The GBGV is a rare breed, still not full AKC since our numbers are too low, but we are now in the Miscellaneous Class. The camera is my friend and I love to model. I have done several photo shoots for Target product packing. I also wrote a book with some of my adventures. It came out in September 2013 and is available as an ebook or paperback on Amazon.com." Have you met Miss Emma before? If not, she writes a very popular blog called My GBGV Life. Emma is also on Facebook, Twitter, Pinterest, and YouTube. Give her a visit and say hello! Be sure to stop by next Friday for another Pawsome Pet of the Week! Most definitely a pawsome pet! 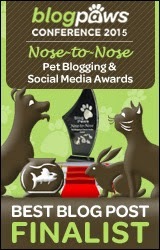 Love that pup and love their blog too! Emma is one of our first and best blogging friends (along with you, Ann!). She's a lot of fun and we love her whole family and reading about everything they are up to. I am always impressed by all the photos Emma's mom takes of Emma and the other pets. Love following her blog. Emma and her family are just the best and always make us smile! We haven't met Emma before. Thanks for introducing us to her. 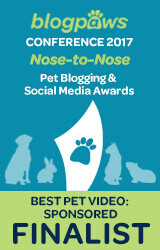 Emma & Bailie and Cat Bro Bert are some of our fave peeps! Emma is a pawsome pet, love her and the interview. We enjoy reading Emma's adventures all the time. She and her sisters are always busy. Great interview. We do love that Emma Girl, especially those beautiful ears! Emma looks like a glamorous model! Is she school trained? If she is then she is the perfect fit for the Stat 4-H Dog Show this September. What do you all think?